The New York Supreme Court has given the green light for two more mesothelioma talc cases to move forward. The first case involves a woman who claims she developed mesothelioma resulting from the use of Colgate-Palmolive’s iconic Cashmere Bouquet talcum powder from 1968 through 1985. The plaintiff filed suit against Colgate-Palmolive and Imery’s Talc America, Inc., and Cyprus Amax Minerals, who sold and shipped talc to Colgate-Palmolive. Colgate-Palmolive filed a motion for summary judgment in the case, but it was denied by the New York Supreme Court, which concluded that issues of fact remain as to whether the plaintiff’s use of the product caused her mesothelioma. Motion for summary judgment should not be granted, “when there is any doubt,” the court said. Imery’s and Cyprus also filed a motion for summary judgment asserting that both companies are Delaware corporations and were not involved in the design, development, manufacturing, testing, research or mining of the talcum powder in New York, so they cannot be held liable in New York for damages caused to the plaintiff. The Supreme Court denied the motion, contending that both companies actively sold and shipped talc to Colgate-Palmolive in New York for nearly six years, so the case will move forward. The second case involves a woman who claims she developed mesothelioma after using Johnson & Johnson Baby Powder for decades. Because the 76 year-old plaintiff did not have occupational exposure or second-hand exposure in the home to asbestos, the only place she could have encountered the deadly mineral is through contact with Johnson’s Baby Powder. As a child, the plaintiff said her mother would use the product “liberally to the point that the air would become smoky” with powder, according to Legal Scoops. This means the plaintiff’s exposure to Johnson & Johnson Baby Powder dated as far back as 1945, continuing through childhood and adulthood, and even with her own children and grandchild. The company is currently defending some 12,000 lawsuits accusing its talc baby powder of causing mesothelioma, ovarian and other types of cancers. 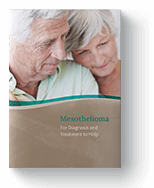 If you have been exposed to asbestos, you could be at risk of developing mesothelioma. Even if you do not have symptoms, see your doctor right away to assess your risk and develop a monitoring plan, which can help detect the disease sooner and in its most treatable stages. See your doctor to assess your risk today. “Hooper-Lynch v Colgate-Palmolive Co.” Law.Justia.com. Justia, 2019. Web. 20 Jan. 2019. "Justice: Talc Miner’s Denials Not Enough To Free It From New York Asbestos Case." Lexis Legal News. Lexis Nexis, 2018. Web. 20 Jan. 2019. LaVito, Angelica. "J&J announces $5 billion share buyback program after report wipes out $50 billion in market value." CNBC. CNBC LLC., 17 Dec. 2018. Web. 20 Jan. 2019. Maslow, Jacob. “Johnson & Johnson Motion for Summary Denied in Mesothelioma Baby Powder Case.” Legal Scoops. Legal Scoops, 17 Dec. 2018. Web. 20 Jan. 2019. Neural IT News. U Neural IT, 10 Dec. 2018. Web. 20 Jan. 2019. “N.Y. Court Says Issues of Fact Exist as to Whether Plaintiff’s Mesothelioma Was Caused by Cashmere Bouquet.” HarrisMartin Publishing. HarrisMartin Publishing, 18 Dec. 2018. Web. 20 Jan. 2019.